The workshop will be held at the Puataukanave Hotel on Vava’u Island, with both current and prospective elite match officials from around the island in attendance. The five days workshop will be the first of its kind to the held in Vava’u since Tonga became an affiliated member of the world football family in 1994. 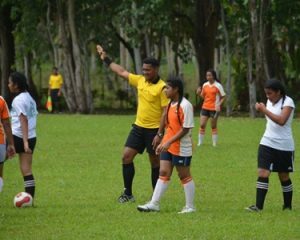 Each year Oceania Football Confederation’s FIFA funded Refereeing Assistance Programme (RAP) conducts development programs for its member associations and for Tonga, the training for elite match officials has always been centered on the kingdom’s main island. 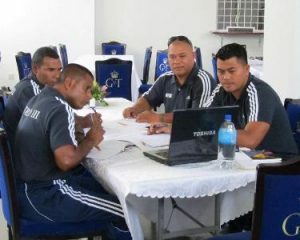 However, this year, the custodian of the game in Tonga has opted to host the training in Vava’u following the appointment of a Referee Development Officer in Vava’u, Teiapa’a Tu’itavuki, earlier this year, but more importantly to improve refereeing standards in the remote areas of the country. 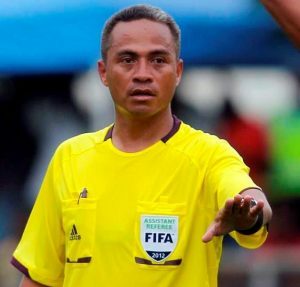 “This is a huge boost for referees, especially for Vava’u Football Association, who will finally receive full assistance as well as much needed equipment to improve refereeing developments on the island” Vea says. 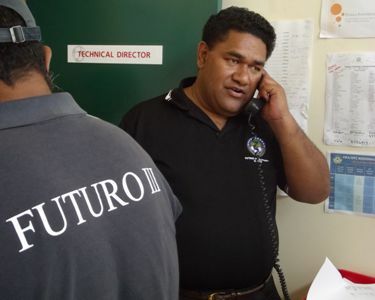 TFA’s Referees Department achieved its greatest milestone in 2010, when Tonga’s first match official, Tevita Makasini, was appoint to officiate in the football world’s pinnacle event in South Africa, a success echoed by Lata i sia Tuifutuna, who also became the first Tongan female official to reach the women’s FIFA world cup event in Germany this year. The workshop will see 25 Vava’u elite referees participating and consists of theoretical and practical components. Participant will also sit a exam and put through the FIFA fitness test. Local Technical Instructors, Koli Vakatapu, Teiapa’a Tu’itavuki and Fitness Trainer Tevita Latu will be at hand to assist OFC’s RAP team. Under the umbrella of the FIFA Development Office, RAP is staffed by Referee Development Officer Massimo Raveino (TAH), Referee Instructor Neil Poloso (SOL) and Fitness Trainer Kader Touati (FRA). The programme has two objectives. Firstly, it aims to prepare referees for international competitions, particularly the FIFA World Cup. Secondly, it aims to develop referees in each of the Member Associations (MAs) through scouting and education.